We have grown up surrounded by technology: social media and the digital world seems internalised in my generation, particularly those born after 2002. It means those born in the 90s may feel old compared to youngsters born after the millennium. Generation Z, the iGeneration, are those born in and after 1995. 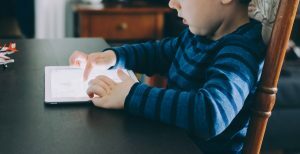 However, knowing how to use an iPad at the age of 5 was most likely not the case for many, unlike the sticky fingered swiping of today’s coffee shop reared toddlers. A vtech games console was my sole source of electronic entertainment at that age – and I was born in 2001. From this, we can see a distinctive change even for those supposedly born in the same generation, influenced by increasingly rapid changes in technology. I’ve noticed many teenagers have generated an internal mental forefront. It's a coping mechanism for the challenges social media presents, such as cyber bullying or even small but abusive comments on status updates and posted pictures. Young people have become more reliant on need for approval from likes but this mental safe space may also give them the chance to express themselves regardless of whether the rest of the world 'approves' of them. However, this doesn’t work for everyone, being exposed to all this new digital activity from very young can be more harmful than we realise. It is being naïve to the potential harmful side of technology that can make the digital world even less of a safe space than intentioned. Women are often on the receiving end of the worst the internet can offer. But this technological advancement benefits us in many ways. The women’s movement has expanded, media has allowed more awareness of inequality and been at the forefront of initiatives to change this. Sixth former Phoebe Richards believes women have been allowed to be “partially freer to express themselves as there is this kind of new movement by which there is more acceptance and a way for us to communicate our views.” In this way it has effectively created a relatively “safe space” for women to discuss these issues and in this way created a digital community with the same main objective as equality. For example, in 2012, UNESCO’s Gender-Sensitive Indicators for Media (GSIM) was published, focusing on social diversity and taking into account all dimensions of gender. The publication recognises the media’s “effective ways of mainstreaming gender in their actions” and thus it attempts to make the content of articles more “gender sensitive” through evaluating them with the use of the GSIMs. Despite this, it can be argued that women are still generally recognised more through the eyes than the ears. The need for a good physical image is heightened by the media and in this way, women’s voices are undermined due to the concentration on their bodies rather than their opinions. Fixed images can create clichés about women and entrench prejudices and biases that create challenges for any women who try to draw attention to their opinions. Overall, there are many ways the digital revolution has expanded the safe spaces available to young women, such as being able to communicate more easily with people of similar interests or struggles. Nevertheless, we still need to be aware that this new network of communication can also put us in danger and creating mental safe spaces can be the way to protect oneself. We might be technical natives, but we still have a lot to learn about navigating social media in such a way that doesn’t leave grave new scars on our psyche. It's a jungle out there; don't let it ensnare you. Webinar: Career Experts: Stress-Free For Summer!